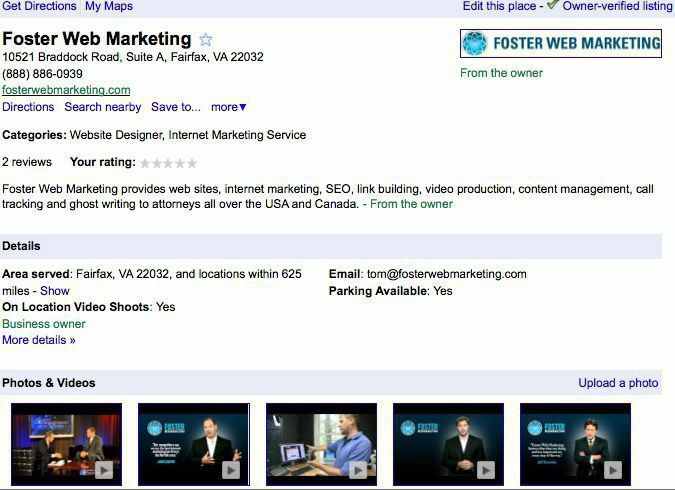 7 Steps to a Better Google Places Listing for Your Law Firm! The word has long been out that Google Places is where you need to be listed. Your clients are using it to find local attorneys to help them with their needs. Make sure Google Places is leading them to you. In the dark about Google Places? If somehow you have missed the news about Google Places, here is what you must know – it is Google’s own local listing service. Best of all, it is free. There is absolutely no reason you should not grab your listing and properly use it. In the world of attorney Web marketing, isn’t it about getting found online? You don’t need to sign up with one of those companies that tout their ability to get you in the top spot in Google Places. Besides the fact that many of those companies use black hat tricks (tactics that Google despises), it doesn’t take a lot of time and effort to do it yourself. Follow the steps below and you will be on the right path to Google Places success. Step One: Make your Google Places name your business name. While that might not be very scientific, using a bunch of keywords as your business name will only tick Google off. Make sure you don’t violate Google’s guidelines. Step Two: Use custom categories in addition to the ones offered. These categories should explain what type of services your law firm provides. They should not include your geographic location (i.e. family law Los Angeles). Step Four: Show your prospects why they should hire you. The description field is what should be used to explain your services. Think paragraph, not list. Step Five: Ask your clients about their opinions. Reviews are big on Google Places. When you are working with your clients, ask that they go onto Google Places and give you a review. Step Seven: Play by the rules. Google has set guidelines for Places and make sure you are following them. Don’t try to “trick” Google by stuffing keywords into your listing. For more information about Google Places, get your FREE copy of our report, Google Places: What Every Lawyer Needs to Know to Dominate.